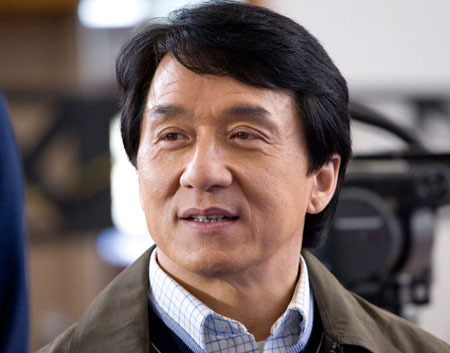 Jackie Chan in ‘Kamal - Katrina Kaif - A R Rahman - Shankar Film? Ameer Out of Bharathiraja's Movie? Jackie Chan, the super star of Asian cinema, is all set to act in Kamal Hassan's next film that is produced by Aaskar Ravichandran and reportedly to be directed by Shankar. A R Rahman is being approached by the filmmakers for the film and it is learnt from sources close to the composer that he is likely to accept the project as this is going to be one of the biggest budgeted films of Indian cinema with many top creators involved in it. The film tentatively titled 'Thalaivan Irukkiran' is going to have another big name and it is none other than Katrina Kaif, who has almost accepted the offer. But, the problem with the actress is dates as she has already accepted Rajini's 'Kochadaiyaan' and this Kamal film is learnt to be in the making at the same time of Rajini's. If everything falls in line then this film would be the most expensive film with the involvement of biggest names of Indian and Asian cinema. Kamal and producer Ravichandran has planned to do this as a multilingual film – Tamil, Telugu and Malayalam, and if things work out the makers will do the Hindi version also simultaneously. The buzz in tinsel town is, actress Nayanthara has accepted the offer of Ajith's heroine in his yet to be launched Vishnuvardhan movie. 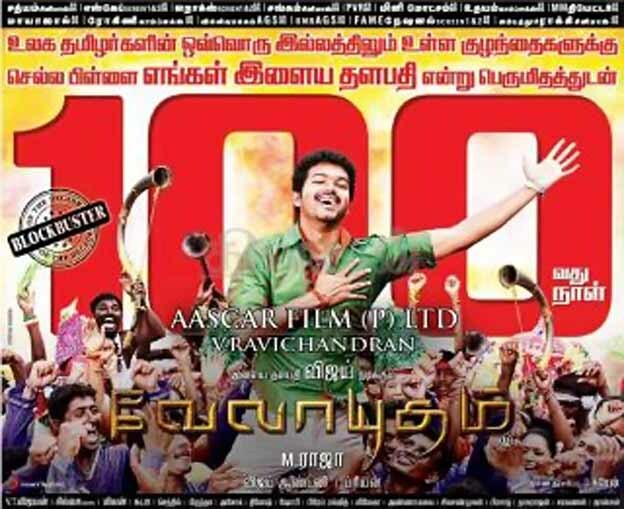 Finally Ilayathalapathy Vijay's Velayudham has reached the Grand 100 days. Both the films Vijay's Velayudham and Surya's 7am Arivu recieved a Big opening but it was Vijay who lead the front with Velayudham and next it was Surya's 7 am Arivu. It was a great year for Vijay starting from Kavalan as 2011 pongal release than later with Velayudham as Diwali release both are declared as superhits and marked Vijay's comeback and with the recent release of Nanban it was a hat-trick year for Vijay. We SuperGoodMovies team Ilayathalapathy Vijay a Successful 2012. The never-ending feud between TFPC and FEFSI has seemingly pushed Ameer from Bharathiraja's film. The director-turned-actor was signed for the lead role in Bharathiraja's 'Annakodiyum Kodi Veeranum' replacing Parthiban on the spur of moment. With Ameer letting himself more hooked to TPFC-FEFSI issue, it looks like Bharathiraja has literally lost his patience and is reportedly looking out for a replacement. 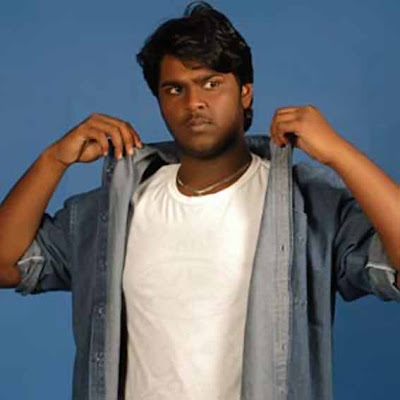 The film has Ko fame Karthika and Iniya of Mouna Guru fame in female lead roles with G.V. Prakash scoring music. This is not the first time that there are reports of the environment being exploited because of a film shoot. As Prabhu Solomon's Kumki is being filmed, the buzz is that nearly two acres have been acquired to depict how elephants destroy the land. In the past, several movies including Murugadoss's 7 Aum Arivu and Prabhu Deva's Vedi have made news for similar reasons. Actors feel that irrespective of one's profession, every individual has a certain responsibility towards the environment. Says Khushboo, "Every citizen has a responsibility towards nature, and not just people from the film industry. Awareness towards protecting nature is the need of the hour. As far as my unit goes, we have rules like no smoking and no littering, irrespective of where we are shooting." Khushboo, who is also a producer, adds, "As producer, I make sure that all the necessary permission is sought. With regard to Kumki, I am sure that the filmmakers have the required permissions from the forest officials." Film folk also feel that there should be awareness about preserving the sanctity of nature. Ganesh Venkatraman says, "While it's great that the film industry is exploring various exotic locations around the world, it is also our responsibility to respect nature and preserve it. Any sort of violation shouldn't be encouraged, no matter who it may be." Environmental activists and advocates, who are aware of the system, say that for the film fraternity it becomes an additional responsibility since their actions are followed closely and people idolise them. Jayasimha, environmentalist and environment advocate, says, "While it's understood that the procedures, permission and rules of the Forest Act ought to be kept in mind while shooting, what matters is the attitude of individuals — be it a film director or a college student. Also, with regard to films, every action portrayed in movies is taken seriously — for example, if a rich man displays the head of a tiger as a decorative object in his house, then some people think being rich implies that one should own such an 'ornament'. The industry must be extremely sensitive, especially towards the environment." The Prabhu Deva-Nayanthara controversy is reaching its peak these days. The couple is playing a game of hide-and-seek, while rumours about their relationship run rife. Just when people were waiting for them to announce their wedding date, a story about their split broke out. After Prabhu Deva's divorce from his first wife and Nayanthara's conversion to Hinduism, the news about their alleged break-up came as a surprise. To add to this, another woman is being dragged into the controversy. Hansika Motwani is rumoured to be one of the causes of the split, as she has been linked up with Prabhu Deva in recent times. When asked about her involvement, Hansika says, "I just want everyone to respect and understand my feelings. Prabhu Deva has always been a dear brother to me and I fondly call him Prabhu anna. It is disturbing to hear about such unimaginable link ups. My name has been unnecessarily dragged into the whole controversy. It's not only Prabhu Deva, but I don't interfere in anyone else's personal life. At the moment, I am busy signing new films and completely happy with my professional life. I just want to put a full stop to the rumours." How is she dealing with it then? She replies, "I just want to clear my name from this issue and I hope everyone understands my words." Another star son is all set to make his debut in the film industry following the footsteps of his dad. Yes, Captain Vijaykanth's son, Shanmuga Pandian, who is the younger of his two sons, is all set to make his baby steps in Tamil cinema. The young boy will be donning the greasepaint for an action film shortly. The movie is being produced by Vijaykanth under their home banner. Shanmuga Pandian who is doing his last year at Loyola college is learning to dance, fights and hitting the gym in order to prepare himself for the movies. So will he follow his dad's steps and turn into an action hero? Apparently, the answer is yes. There is also speculation that he will change his name for a more filmi one. He first made Pappu dance and now he has the whole of Bollywood dancing to his tunes. Benny Dayal is now hot property in B'town. In the recent past, most of the singer's tunes have topped the charts. From Choomantar in Mere Brother ki Dulhan to Aadat Se Majboor in Ladies Vs Ricky Behl and the super funky Ekk Main Aur Ekk Tu to Jab Main Tumhare Saath Hoon in Jodi Breakers, this Chennai boy is conquering new heights. With his popularity soaring in B'town, is this talented singer shifting base to Mumbai? "I am taking things as they come and I have no such plans as yet." Talking about Ekk Mein or Ekk Tu, which is already a hit, he says, "It is a fun song and I had a good time singing it. Amit (Trivedi) had approached me for trying out a track. I flew down to Mumbai, where the recording took place. It clicked immediately. As far as Amit is concerned, he is a complete delight to work with. He lets the singer make the song their own and brings out the best in everyone." On one hand, the Pappu Can't Dance hit maker has worked with the maestro — A. R. Rahman and on the other he seems to be a favourite of composers like Salim-Sulaiman, Amit Trivedi and Sohail Sen. "They may be young when it comes to age but are well grounded in experience. They have been in the music industry long enough — working as assistants and on background scores. They know what they want and work like thorough professionals," he says of the young composers of Bollywood. For Benny art is all about freedom and he has no qualms about actors making it big with playback singing. "There is no written rule that actors can't sing and vice versa," he says. So, would he try his hand in acting? "Well, I am not interested. Right now my priority is music. But, if something interesting turns up, I'll consider it." About his future plans, he says, "I certainly have more up my sleeve." Knowing Benny, it might just be something big! Its jubilation in director Murugadoss' camp. 7 Am Arivu starring Surya, Shruti Hassan among others, released for Deepavali, has completed a 100-day run. Produced by Udhyanidhi Stalin, the movie speaks about Bodhi Dharman, who went from Kanchipuram to China to establish an empire for himself there. The movie which had cinematography by Ravi Chandran and music by Harris Jeyaraj. One of the big-budgeted ventures, the film collected good revenue at the box office and also was selected for screening at various international film festivals. Says Surya, 'the movie had a good story line. After Ghajini, I joined hands with Murugadoss and the magic was recreated on screen. All credit should go to Murugadoss and his team'. Surya is currently shooting for Maatran, directed by K V Anand and A R Murugadoss is busy shooting with Vijay for Thuppakki.